I would love for nothing more than to one day have a dessert named after me. I envisage the Geraldo to be slightly rotund (much like its namesake) and chock full of all that is good in this life: butter, sugar, and cream. My dessert — my prerogative. As the story goes, his overzealous admirers campaigned for him by organising parties and selling a particular chocolate candy. 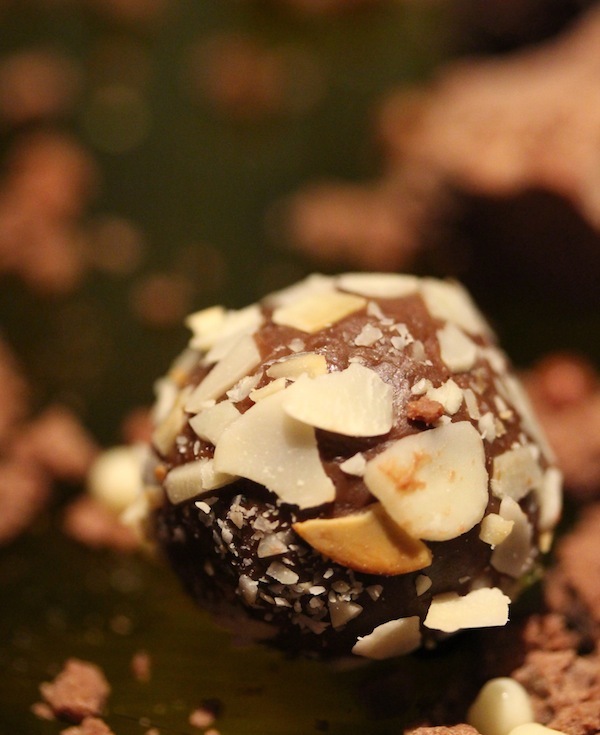 Made in his honour, it was simply called the Brigadeiro’s sweet… and eventually shorthanded to the Brigadeiro. The confection was made of just three ingredients: condensed milk, cocoa and butter. This was mostly a function of necessity. Because imports were difficult during the war, the traditional snacks of fruits and nuts were scarce. Enter food titan Nestle, which introduced condensed milk and a cocoa powder called Nescau. People very quickly found out that boiling down condensed milk turns it into a malleable consistency not unlike candy. Add flavouring, and you had a winner. It was easy to make, highly accessible and, above all, totally delectable. 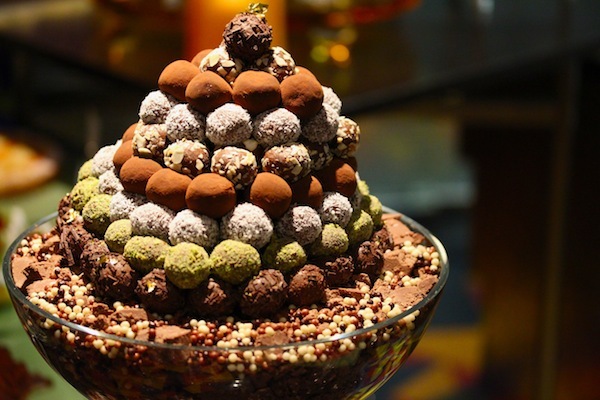 Fast forward 70 years and the Brigadeiro is a tight weave in Brazil’s culinary fabric. 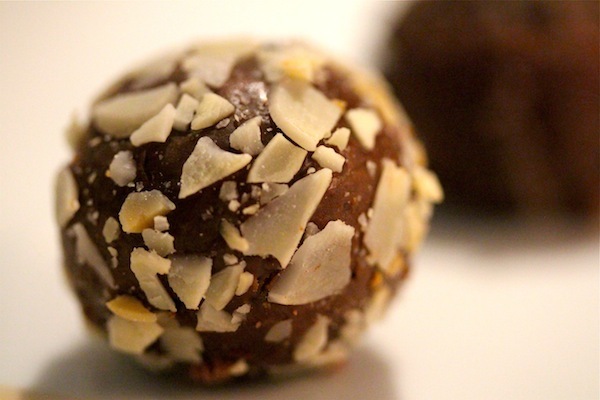 No kid’s birthday party is complete without these soft, truffle-like treats. And as their popularity has grown, so have the options. Entire shops in Brazil are dedicated to this delicacy. 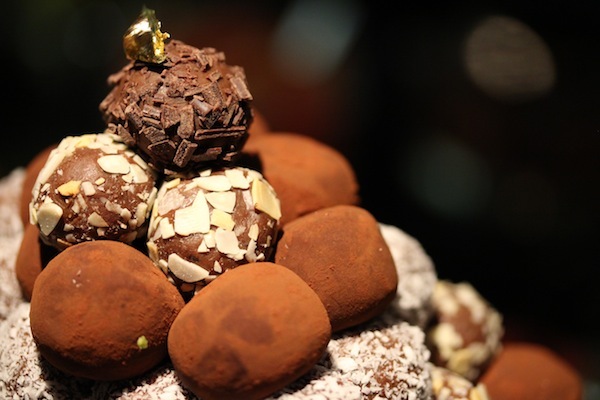 High-end chocolatiers offer those made from gourmet, organic cocoa. Others entice with the addition of nuts or exotic fruit. And there are the adult varieties too, laced with port, brandy and the sugarcane spirit, cachaça. 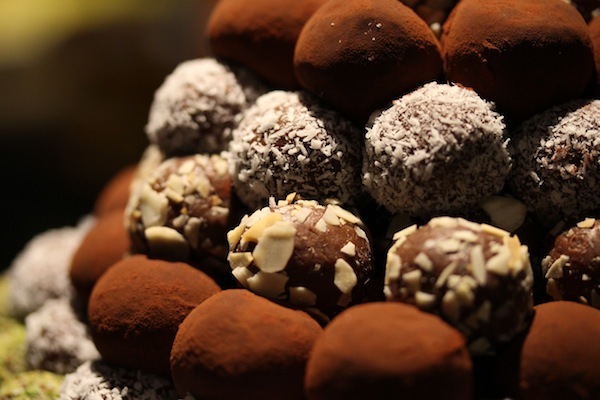 If by now you’re motivated to try your hand at a Brigadeiro, the recipe couldn’t be more straightforward. You heat a can of condensed milk with a few tablespoons of cocoa and a pad of butter for around 20 minutes. (Tip: stirring cocoa into this thick solution can be meddlesome, so dissolve it in some water first.) Chill this in the refrigerator until cool enough to handle. 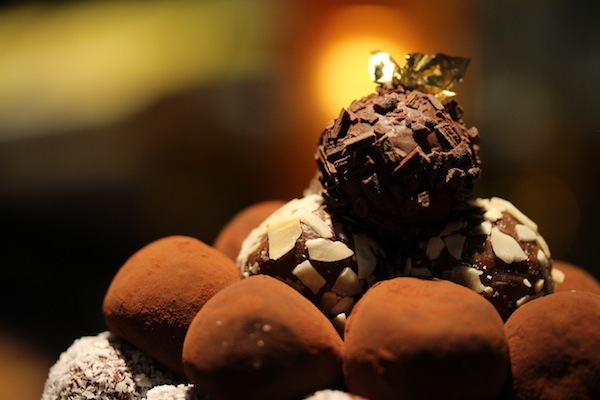 Then coat your hands with butter to create a non-stick surface and shape the Brigadeiro into balls. Finally, roll them in chocolate sprinkles. Cocoa powder is fine, too. The resulting dark, luscious orbs help to explain why they’re called negrinho in the south. Another popular version is to coat them in coconut, turning them into beijinho… romantically translated into a little kiss. 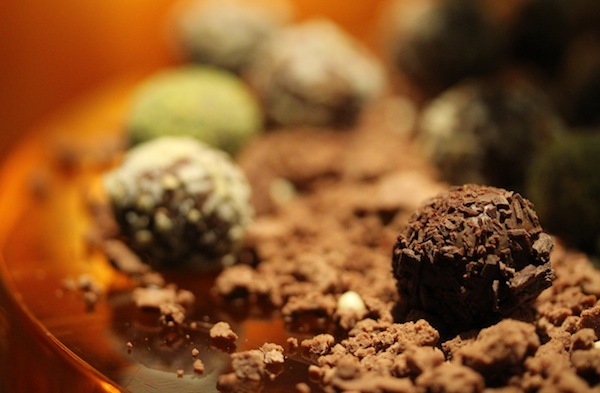 Make no mistake, there are myriad ways to enjoy the Brigadeiro — born in an age of austerity, inspired by a hero, and loved by a nation. This entry was posted in Gastronomic Tales and tagged baking, Brazilian, butter, childhood, cooking, cuisine, desserts, food, gourmet, kitchen, memories, sweets, treats. Yummy!!! so going to try my hand at making it!!! smashing his post thanks for excellent content!